This Flag Case is constructed with the highest quality solid oak, walnut, cherry, or mahogany. It features a double strength glass front that is laser engraved, allowing you to create a unique heirloom that can be passed on for generations to come. 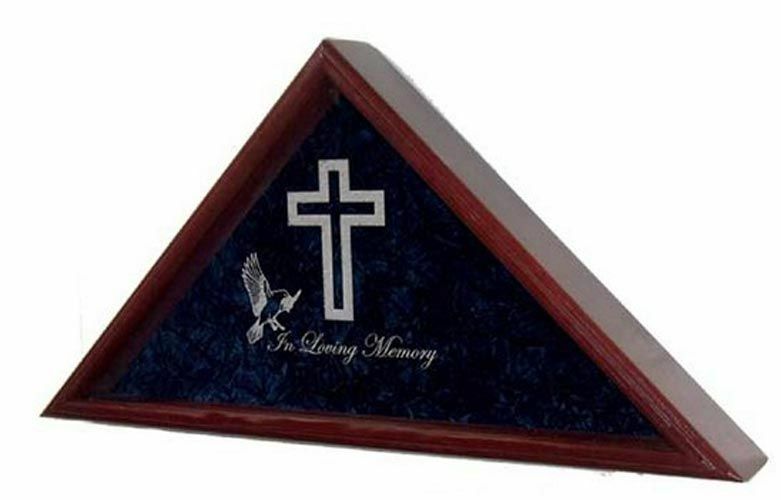 Our Current religious symbols include your choice of a flag case engraved with a Cross and Dove (pictured), Crescent Moon with Star, Star of David, and Praying Hands.